Evening all, I'm looking to get a subscription to one of the popular airsoft magazines so I've got something semi-interesting to read while I'm sat on the crapper, but which to buy? Airsoft International or Airsoft Action? Hmm, fair enough, most magazines are full of adverts (it's their main source of revenue) so I can live with that. Any recommendations for magazines other than those two? I'm deployed at the moment and the post takes an age to get to me regardless of when I order something, so I've got time to shop around! I'd say Ai as Airsoft Action tends to go off topic a fair bit so it's great If your ex-military and into Airsoft. But for those who really just want to read about Airsoft, go for Ai. I just got a sub for AI for Christmas and tbh, all it's really that good for is giving you something to read on the crapper. It's not the sort of thing you could read the entirety of. I just look in the contents for something that sounds interesting, usually there's only 1 or 2 things, then just read them and forget about it. 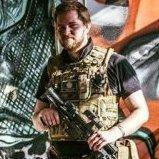 There are gear and gun reviews in every issue though, as well a discussion page about something airsoft related, which is usually interesting and there's also a hints/tips/advice section, which are sometimes about pretty handy thing like how to shim a gearbox, or maintain a GBB pistol etc. I've never had AA so I can't say.